As longtime members of the College Language Association, we decided to produce a series of entries related to the organization’s journal. 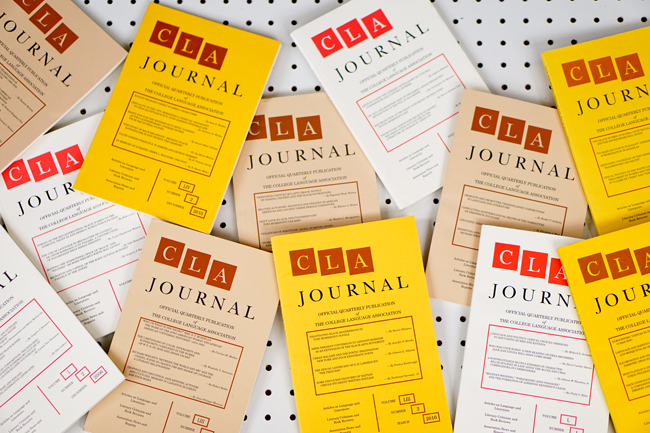 Since its inception in 1957, the College Language Association (CLA) Journal has been an important publishing outlet for association members. For nearly six decades now, contributors to the journal have produced a wide array of articles, bibliographies, and book reviews concerning literature. In the process, the scholarship in CLA Journal, among other things, contributed to the formation of African American literary studies as a distinct field. Our entries on the journal provide an overview of contents from 1957 – 2012. We would like to thank Dana Williams, Immediate Past President of CLA, for providing resources concerning CLA Journal’s publication record, Sandra Shannon, the journal’s newest editor, for offering a model of renewed energy and dedication, and the many 1,177 contributors to the journal for giving us such an important topic.